I am very thankful to have had the opportunity to do a lot of mooting at NTU. 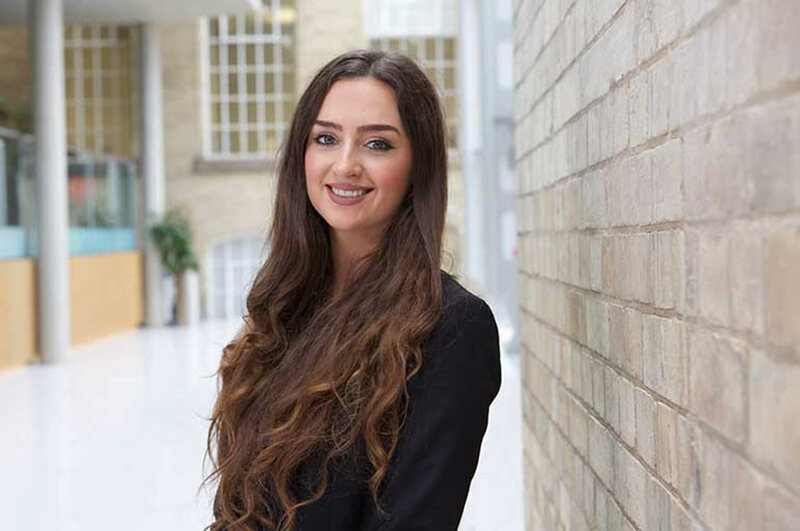 "I first heard about the LEX Law Society at an NTU open day, and wanted to join before I even started my first year. I signed up at the Freshers’ Fair in Welcome Week, where I found out more information about the wide range of opportunities the society offered regarding mooting, networking events, socials, sports and more. "My best memory from my time in the LEX society is probably the LEX Law Ball 2015. The Law Ball is the highlight of the LEX calendar and it was a brilliant night. I have also thoroughly enjoyed all the networking events I have been to as there are few opportunities to network with professionals in an informal environment. "I currently hold the position of Bar Officer on the LEX committee, in which I am involved in organising the networking events and trips that the society runs. In Term One the legal practice officer and I organised the annual dining event, which was a success; both students and professionals had a great night. It is very beneficial for students to network with the wider legal profession, so events like this really help. Recently I also ran the annual trip to the Supreme Court and Old Bailey. "The LEX society has really helped me develop my skills on a professional and personal level. My positions of responsibility enhanced my communication, organisation, time management and teamwork skills, among others. And without participating in the LEX internal mooting competition in my first year, I don’t think I would where I am today, both in terms of personal confidence and masses of mooting experience. "I am very thankful to have had the opportunity to do a lot of mooting at NTU. The first competition I competed in was internal, ran by LEX. I found it highly useful as I gained both practice and feedback prior to my assessed moot, which I subsequently achieved a First in. Not only did the competition increase my confidence, it also sparked my interest in mooting which led me to competing nationally on behalf of the University in external mooting competitions. Eventually I was motivated to nominate myself for president of the NLS Mooting Club, which is a position I now hold. "Last summer at the Legal Advice Centre I took part in some pro bono casework where I teamed up with other students to provide advice on an employment law matter under the supervision of a solicitor. I thoroughly enjoyed the opportunity to apply the law to a real-life case, and the experience sharpened my communication, teamwork, research and problem-solving skills. Although I hadn’t previously studied employment law, I had chosen to study it in my final year, so the practical experience stood me in great stead for my academic studies in the year ahead. "I have also engaged in a variety of legal and non-legal work experience. I have completed work experience in a solicitor’s firm and three mini-pupillages. The NTU Employability Team helped greatly with my CV and the different workshops they have put on throughout the years have been so helpful. I have also worked for the University as a Student Mentor, Student Ambassador and an Inspire Mentor. "One of my greatest achievements during my time at NTU has been making it through to the top ten of the Law Undergraduate of the Year Award 2015. Although I didn’t win the competition, making it to the top ten of a national competition open to all law students who had applied was unbelievable. I progressed through three rounds, which included personal details, qualifications and personality and aptitude tests. "I also had to answer three questions on commercial awareness such as what are the current issues City law firms are facing, what role do law firms play in the functioning of the City and what effect has the Legal Services Act 2007 had on City law firms. This required lots of research, and I progressed to the final ten based on these answers. I was invited to Mayer Brown, an international law firm in London, and did a presentation with questions to a panel of four – made up of assistants, a partner and a trainee – on the increased court fees that had been introduced that month. It was a thrilling and one of a kind experience. "I currently hold a conditional offer on the LLM Legal Practice Course, and following the completion of this course, I hope to secure a training contract and become a solicitor."